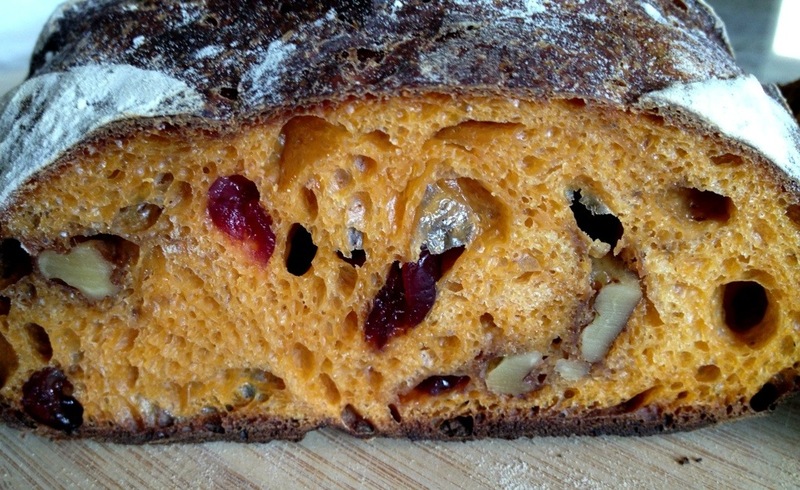 Clark Street Bread — Is LA Becoming a Bread Town? I don’t know what it is. For a town where nobody eats carbs, all of a sudden there are a few legit bakers plying their trade. I’ve written about Bakeshack, a farmers market operation that has been selling great loaves for a couple years. Now the Grand Central Market has these Clark Street Bread folks selling their Tartine knockoff loaves. Is all of LA having a cheat day? Bakeshack is a new bread baker that has been setting up shop at farmers markets in the OC, and now is coming to the Playa Vista farmers market. They sell big, chewy loaves that are unlike almost any other bread in LA. In fact, it’s really almost a ripoff of SF’s Tartine. This is some seriously great bread. It tastes like they just followed Chad Robertson’s directions in his Tartine cookbook. A sourdough that is not very sour. A crust that is charred but not tough or crisp. Moist chewiness is the signature here, with a bit of sour and a bit of salt.